8-Bit Girl: Contribute to my Kirby Feature! Contribute to my Kirby Feature! I am currently planning a new retrospective/feature piece dedicated to the Kirby 20th Anniversary. It'll be in the style of my Metroid and Zelda features (please ignore the missing thumbnails, Blogger unfortunately bugged out for me and deleted EVERY image on my blog, so I'm still in the process of replacing them). As you can see from those two anniversary features, I involve my readers in these pieces quite heavily. I love featuring great fan art, excellent videos, music remixes etc as well as your own opinions on the series. Do you have something to share in my Kirby feature? It'll be going up in conjunction with the anniversary on the 16th September. 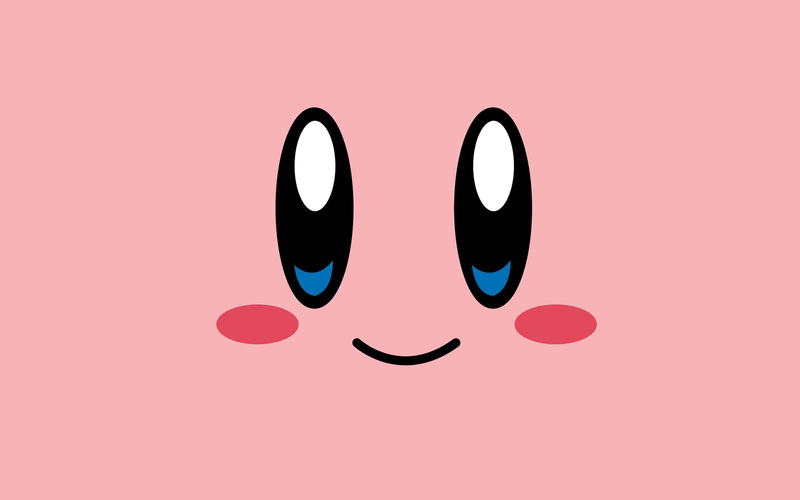 Perhaps you would like me to feature your opinion on the series or your favourite Kirby game? Maybe you have a Kirby video you would like to share or a drawing? Whatever it is...please get in touch! PLEASE keep comment sizes to a minimum! A SHORT message, no longer than two lines long. I can only feature so many people, and it's unfair to allow paragraphs...it means less of you can be involved! I'll take a look at it...wait and see if it makes it in! Please send all contributions before the 15th September. Thanks and I look forward to sifting through all the Kirby stuff you guys send me!